The 5 Step Sales Funnel makes turning leads into clients easy. You're already overwhelmed and busy trying to keep up with your clients, your business and trying to find a little time for yourself. Trust me, I’ve been there. It was just a few years ago that I sat in a mastermind meeting trying to figure out how to grow my business but bubbling over with stress and anxiety. I was working 80+ hours a week, felt out of shape and unhealthy, wasn’t sleeping more than a couple of hours a night and super stressed out. Have you ever had that feeling? Where you felt like things were never going to get better? I wanted to grow my business but there was no way I could fit anymore into my schedule. It was simply impossible. So I threw my hands up in frustration and had a little breakdown in that meeting. It was one of those pivotal moments in your life where you realize that there has to be a better way, and if you’re going to grow and you're going to hit your goals that something has to change. You can’t keep doing the same things that got you there. After some help from my mentors and my peers in the mastermind meeting, I got things back under control and created a solid plan for success. That’s when I realized the crazy power of an email list and more importantly a simple sales funnel that could automate a lot of the work I was doing to get a lead to come in and experience what we had to offer in my business. This sales funnel system helped me to grow a business to over 400 clients, $700,000/year and eventually scale my team up to 10 people so that I was only working in the business a few hours each week. My name is Ryan Ketchum and I’m now the Executive Director and Co-Owner of Fitness Revolution. At FR we focus on helping trainers, like you, become amazing business owners so that they can make more money, have more freedom and fulfill their passion in life. Our unique and innovative systems allow you to do those things. Since that breakdown moment several years ago I’ve been able to use the principles I’m going to teach you in this course to grow a huge personal training business, sell that business and now focus on my passion of helping trainers and fitness business owners. That may not be the same path you take, and I sure hope that you’ve found this program before you hit your breaking point so that you never have to experience it! But, it’s important that you know that running a business wasn’t always easy, and still isn’t easy for me. And that a lot of what we teach you was a result of us having to figure it out the hard way so that you don’t have to. As a busy coach, trainer, boot camp, or studio owner you need to optimize your schedule and leverage your time so that you can focus on the things most important to you. A lot of times that means delegating or automating some processes. You didn’t get into fitness because you’re a great marketer or salesperson. It’s likely you’ve got little to no management experience and you may have ZERO tech skills to speak of and that’s all okay! When you have to try and learn something new or implement a new system in your business it takes time to learn. The more time and energy it takes you, the less likely it is that you’ll actually do it. Am I right? It’s the reason you have three, four, maybe even a dozen marketing products that you’ve bought and you’ve never touched. They all ask you to do things that you don’t like doing or to learn some new fancy way of marketing that takes hours upon hours to learn. And even then you have to buy a bunch of fancy software or hire people to build things out for you. You can get this implemented within a matter of days if you commit to a couple hours of work on the front-end. And those couple of hours will produce many more each week as your funnel starts to work for you. Then those hours will turn into money when leads start turning into clients through your funnel. The 5 Step Sales Funnel will show you how to get leads and then prove to them that you are the best trainer in the area and the solution to their fitness problems. You’ll do this by adding value to the conversation and letting them know that you understand their frustrations and struggles. The first step is getting eyes on your content. That means figuring out how you’ll get traffic. WAIT! Before you click away from the page because you see the word “traffic” and think this is just some internet marketing system, keep on reading. 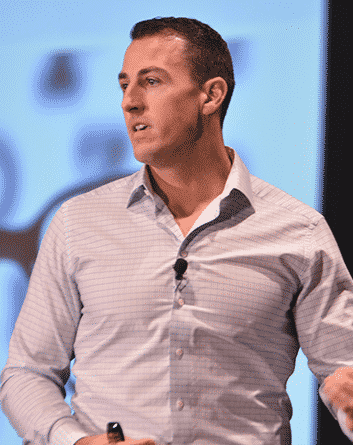 "Traffic simply means getting people to see your initial offer." Traffic could come from workshops, joint ventures, email lists, networking events, or marketing through Facebook, Google or any of the other marketing channels. In the 5 Step Sales Funnel you’ll discover how to find the strategies that play to your strengths so that you can get started right away. And we’ll work together to help you narrow your focus so you can find YOUR TOP 3 TRAFFIC SOURCES. I’m not going to tell you that you have to use Facebook Ads or go to networking events. You get to choose what will work best for you. Remember, this is about making it easy to get started! Once you’ve uncovered your traffic sources we’ll learn how to capture email addresses, and I’ll teach you how to create a simple landing page to start building your email list and getting people into the funnel. There’s a simple formula for creating these offers, and I’ll teach it to you and even give you the templates you need to start creating them instantly. The best part about all this is that you’ll be creating offers that attract your Ideal Client using the step-by-step process I’ve laid out for you in the 5 Step Sales Funnel Course. Now it’s time to build out the value building sequence! You’ll learn how to create a simple series of blogs, videos or emails that answer your Ideal Client’s biggest questions and show them that you’re a great trainer and know exactly how to help them overcome their fears, frustrations and challenges. I’ll show you the questions you need to answer and the information you need to have so you really get to know and understand what your leads want to hear from you so that they are asking to join your program—not the other way around. The next step in the process is all about backing up what you’re saying and giving them some social proof. I’ll show you how to get and use great testimonials from your clients and use them to connect with your leads. 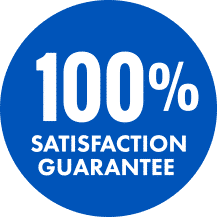 Finally, we’re going to provide your leads with an opportunity to start your programs through an offer we call the Front-End Offer. "The Front-End Offer, or FEO, is a short-term, very specific program that allows a lead to experience your training and get some results before committing to your long-term offering." And you don’t have to create a bottom of the barrel, cheap offering either! I’ll show you how to create a value-driven offer that can get you at least 75% of your regular price and how your FEOs can be a cash producer for your business. By using this system, you don’t have to discount your prices! From there it’s as simple as delivering on your promises and creating one more opportunity for the new client to join your program. I know that by providing you with value and showing you the exact steps you’ll take to build your own funnel that you’ll see the benefits of using this in your business to get more clients. There’s something else I know that you don’t, and it’s the real reason why you can’t do this on your own. It’s taken years of learning, researching and experimenting to get this formula down right. There’s a formula for writing your emails, laying out your webpages and making your offer that can’t be taught here. And that’s why you need this course...to fast track your success and avoid all the mistakes that I’ve made when trying to implement the system. You’ll get all the templates and resources you need to get this up and running fast. If you try to implement this without the right formula in place you risk losing a lot of new clients because of a poorly laid out funnel, a couple of emails not written the right way or a bad offer. All those clients slipping through the cracks isn’t worth the small investment you need to make in order to get this course. Once you get this funnel in place you’ll be able to leverage your time doing more of what you love. It will turn your conversion process on autopilot, and it will start bringing in revenue for your business when leads join your Front-End Offer programs. You may not have a conversion process or system in place now. In fact, most of the trainers and business owners I talk to are missing this critical piece of their sales funnels. They get a lead and if that lead isn’t ready to come in for a consult or join the program right then and there, they get lost. There’s no follow-up, there’s no value building and there’s certainly not any opportunity for them to join your program. With that process, your leads are lost, and it’s costing you a lot of money. But with this system you’ll be able to nurture those leads, give them a ton of valuable content and you’ll get more of them to convert into clients. And you can automate the entire process! That will free up more of your time and energy to work with clients, do more marketing or just have more free time to spend with your family. You’ll also be making more money because each lead you get will be more valuable to your business. More clients will sign up and that means more revenue for you! Here’s what you’re going to get when you pick up the 5 Step Sales Funnel Course today. It’s a complete step-by-step course that will teach you how to organize your thoughts, learn why you need each step in the funnel and show you exactly how to create each part so that it attracts and converts more leads. Discover why you need this funnel in your business and learn exactly what the 5 Step Sales Funnel is and how it will help your business grow faster. This will set the expectations for the course and help you understand the “why” behind using this system. Learn how you can get more eyes on your content and start to build an audience that is interested in your programs. This is all about finding where you can apply your strengths to start generating more leads for your business. There are dozens of ways to build your audience and get traffic and I’ll teach you how to do it quickly and easily without asking you to do things you hate. Do you have an offer that attracts your Ideal Client? Does it speak directly to them and get you dozens of new leads a month? If not, in this video segment you’ll discover how to create an offer that will speak to your Ideal Client and make accepting your offer an absolute no brainer. We’ll work together through this video and the complementary resources to name your lead magnet and run it through a quick filter to ensure it’s your best offer. I’ll even show you how to get these up quickly and how you should be delivering them. This is where you’ll start to learn how to stand out from the crowd and provide value to your leads instead of asking for the sale right away. A critical piece of this funnel is building trust with your leads and the fastest way to do that is to give them some content that benefits them without asking for anything in return, at least right now. Discover how to name, create and build out your value delivery system and content in this module. You’ll also be able to share some client success stories to prove that you can produce results. Discover the secrets behind naming your Front-End Offer and our formula for creating an offer that will appeal to your leads. With a great FEO you’ll be able to turn more leads into clients, and I’ll teach you exactly how to do it in this video. Now that you have someone in your FEO and they are experiencing what you have to offer it’s time to ask them to take the next step and join your program. I’ll show you exactly how to create this opportunity and when you should be scheduling this opportunity for the best results. Again, this will play on the value add concept that we’ve been teaching you this entire time. You’ll also learn the 4 step process for selling your services to make selling easy. Knowing the why’s and how’s are great, but I want you to be able to implement this system immediately in your business. So I’m providing you with these ready to use resources that will make getting your own 5 Step Sales Funnel started easy. We could easily sell each of these resources on their own or as a bundle but you’re getting them for FREE as our gift to you today! Use the worksheets in the workbook as you go through the course to help you craft your message, lay out your offers and optimize your sales funnels. You’ll be able to map out your entire sales funnel in a matter of minutes by using this workbook. It’s the easiest possible way to get this started. Learning how to write great emails can take time and you don’t have the time to learn. Therefore, I’ve provided you with my very best email templates so that you can simply add in a few details and plug these into your email system to get started today. These emails have been carefully crafted to get you the results you want in your sales funnels. Use this cheat sheet to learn how to be a better writer and get your leads to take action on your offers. This is the same cheat sheet I’ve used to teach successful business owners and marketers to craft their emails and sales pages. Now you can access these copywriting secrets that I’ve had to invest thousands in to learn from the best in the world and it’s taken me years to learn it. It’s all here for you in this cheat sheet! Get a behind the scenes look at how we craft our opt-in pages and even steal our templates! There is a simple formula that takes a landing page or opt-in form and turns it into a lead generation machine. Now you can get that formula and see how we use it on our highest converting lead magnets. These bonus resources, worth over $296.00, are all yours when you get your 5 Step Sales Funnel Course today. You’re happy to invest in delivering a great service and I commend you for that. It’s critical that you are one of the very best at what you do so that you can sell ethically. But if you’re not getting leads and turning them into clients and you’re not making the money you need to keep doing what you love, it’s all for nothing. If you keep doing things the way you are now will you ever reach your financial goals? Will you ever reach the number of clients you want to help? You can use a proven system right now for just $79! I’m so confident that this 5 Step Sales Funnel will help you sell more training than ever before that I’m offering up a 100% money back guarantee. But most trainers are really good at what they do and are always trying to get better so I’m betting that you’re the same. So make sure to get your 5 Step Sales Funnel Course today! If this system gets you just 1 new client it could easily be worth $2,000. What would you pay to have a system that can help you automate your conversion process and turn more leads into clients? If that system only got you 3-4 new clients a month you could pay $1,000 for it and still come out ahead...by a lot! Or you could spend thousands on books, training and hours trying to create your own. However, if you’re like me you want to take the fast track to success and there’s no reason to recreate the wheel. So act now because I want you to have this powerful sales funnel to help more people get amazing results. P.S. It’s possible to automate your lead conversion system! I’ve done it myself and taught many other trainers to do it as well. Now you can have access to my proven system for turning leads into clients that will help you sell more training without having to discount your prices. But we’re only offering this to top level trainers that deliver great results for their clients! If that sounds like you make sure you get the 5 Step Sales Funnel today for just $79. 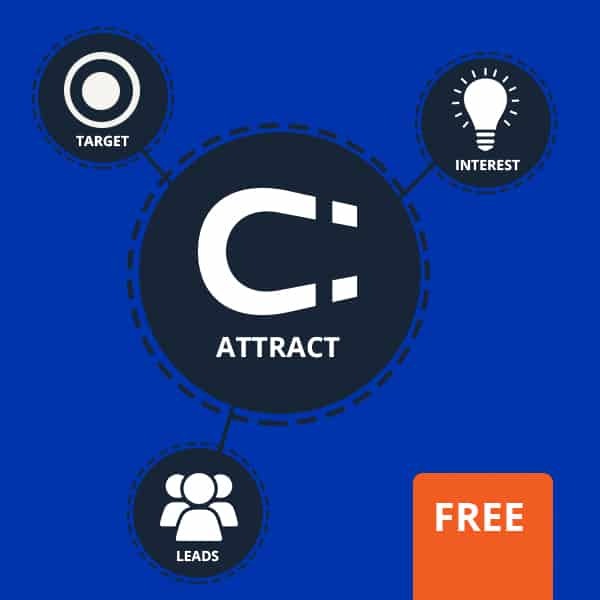 Create an offer to attract new leads to your business in less than 10 minutes with this lead magnet generator. Download this FREE Cheat Sheet to discover a formula to create offers that attract your ideal client. This cheat sheet will help you create an endless supply of offers to attract high quality leads into your business that are unique to you and your business. Stop copying the competition and create offers that attract great leads!